On this Fourth of July weekend, we look back at a former BSU Beaver hockey player, who is now a Lieutenant General on the Joint Chiefs of Staff. Lieutenant General Tom Waldhauser was born in South St. Paul, Minnesota, and is a graduate of Bemidji State University. According to his online bio, He was commissioned in 1976 as an infantry officer. His company grade assignments included platoon and company commander billets with both the 1st and 2nd Marine Divisions; Commanding Officer of the Marine Detachment aboard the USS Long Beach (CGN-9); and staff of the Commander of Amphibious Squadron Seven. As a field grade officer, Lieutenant General Waldhauser was a Battalion Landing Team Operations Officer and served on the faculty of the Amphibious Warfare School. During the Amphibious Warfare School tour, he deployed to the staff of the Commander, U.S. Marine Corps Central Command (Forward) during Operation Desert Shield/Desert Storm. Lieutenant General Waldhauser also served on the II Marine Expeditionary Force staff and was the Battalion Landing Team Commander of 3rd Battalion, 2nd Marine Regiment. He also had duty at Headquarters, U.S. Marine Corps, and the Pentagon with the Joint Staff Combating Terrorism Directorate (J-34). As a Colonel, Lieutenant General Waldhauser assumed command of the 15th MEU (SOC) in 2000. During this tour, the 15th MEU (SOC) participated in combat operations in Southern Afghanistan for Operation Enduring Freedom and in Iraq for Operation Iraqi Freedom. Appointed to the rank of Brigadier General in 2003, his initial assignments as a General Officer were Commanding General, Marine Corps Warfighting Laboratory, and Deputy Commander, Marine Corps Combat Development Command. From 2006-2007, he served as Chief of Staff, US Special Operations Command, in Tampa, Florida. 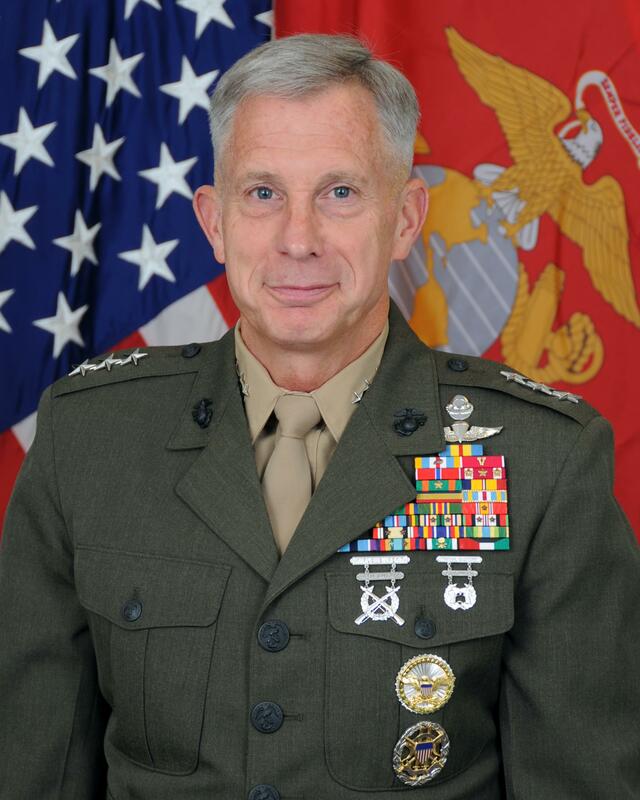 As a Major General, he commanded the First Marine Division from September 2007 until July 2009. Promoted to Lieutenant General in 2009, Lieutenant General Waldhauser served as the Deputy Commandant for Plans Policies, and Operations during 2009-2010. From October 2010 through September 2012, he served as the Commanding General, I Marine Expeditionary Force, and Commanding General, U S Marine Corps Forces Central Command. Lieutenant General Waldhauser served as the Senior Military Assistant to the Secretary of Defense from October 2012 through September 2013. Lieutenant General Waldhauser is currently serving as the Director for Joint Force Development, Joint Staff J7. Lieutenant General Waldhauser also played hockey at Bemidji State. Waldhauser played from 1972 to 1976. The forward played in 95 games, scoring seven goals, and adding 19 assists. I’ve never had the pleasure of meeting Waldhauser. I hope to one day. I’d love to know how taking orders from Coach Peters taught him to give orders as a high-ranking member of our military. 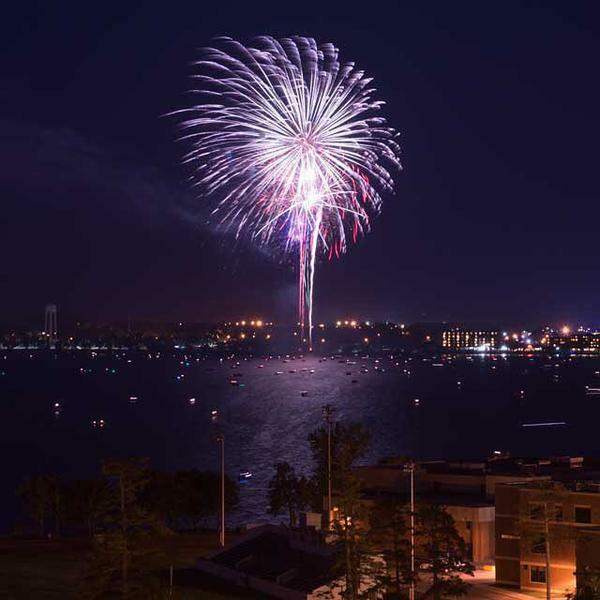 It’s easy to be patriotic during the Fourth of July. Tom Waldhauser has been patriotic his entire career. For that, we thank you Tom Waldhauser! Listening in from Thunder Bay-go beavers! !